Manchester City and Roma turned up with big wins in the Champions League on Tuesday night as both teams recorded 3-0 wins in their games against Shakhtar Donetsk and CSKA Moscow respectively. 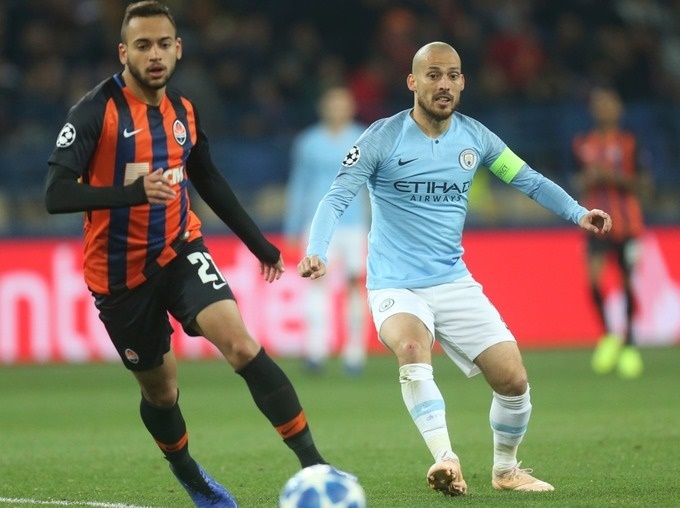 City though playing away from home took a huge stride towards qualification for the Champions League last 16 with a commanding 3-0 win over Shakhtar Donetsk in Ukraine. David Silva twice hit the woodwork before rewarding the visitors for their early dominance with the opening goal after half-an-hour and Aymeric Laporte quickly added a second. Bernardo Silva came off the bench to wrap up a victory that took City to the top of Group F 19 minutes from time. For the game in Rome Edin Dzeko was the man as the lanky striker tucked in two first half goals before Cengiz Under hammered home five minutes into the second half to wrap up the points and move Roma up to second. Next stop, Roma have a tough trip to Napoli on Sunday, while CSKA are up against fellow Russian Premier League title hopefuls Krasnodar in Moscow on the same day. In some other games still played on Tuesday there was some relief for Real Madrid as they managed a 2-1 win over Viktoria Plzen. Bayern Munich also squeezed out a 2-0 away over AEK Athens while there were goals galore in Germany where Hoffenheim and Lyon played out a thrilling 3-3 draw.